Think Sauvignon Blanc; think New Zealand. It is fair to say that New Zealand has become synonymous with Sauvignon Blanc, or more specifically, Marlborough Sauvignon. This is the single most successful New World variety of the 21st Century: yes, Chilean Carmenère, Argentine Malbec and Australian Shiraz have all become benchmarks, but the Sauvignon from this one tiny area of one tiny country has become the global pinnacle for the variety, and one of the world’s most recognisable wine styles. 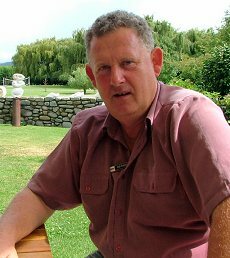 I visited New Zealand in February 2006 and tasted over 100 Sauvignons. Whilst the pungent, green bean and tropical fruit style was still alive and kicking, there were also many producers playing with subtly different styles. Some producers are toning down the herbal qualities, making leaner, more Sancerre-like wines, and some are ageing their wines in oak. These Kiwi Sauvignons from Marlborough range from the full-on, impressively “typical” style of the Babich Family Reserve, to the more elegant, savoury style of Jane Hunter’s wine. But each is a fine example of one of the world’s great modern-day wine stories.